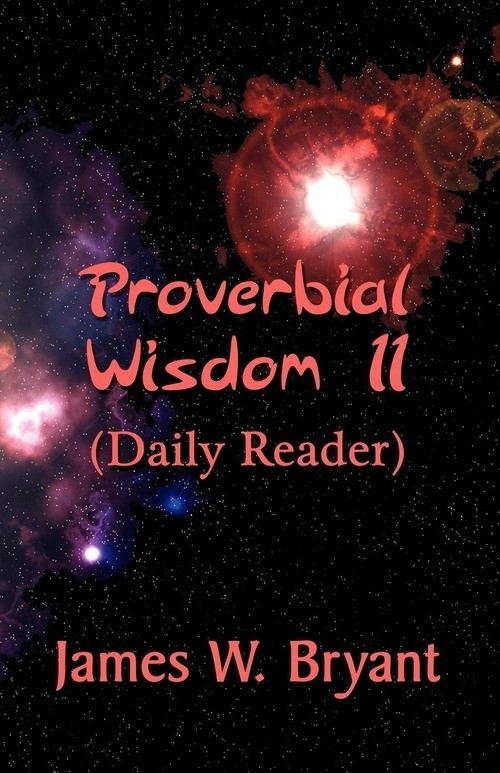 Opis: Proverbial Wisdom II (Daily Reader) - Bryant James W.
Proverbial Wisdom II is a continuation of Proverbial Wisdom (Daily Reader) by author, James W. Bryant. These unique idioms come from everyday life lessons learned by the author. Initially these proverbs were penned in part to help aid his children in both their physical and spiritual development but are now also being made available to the world. Proverbs 6:6 proves to us that there is wisdom to be learned even from the ant. Certainly through the reading of this book you will gain much." Szczegóły: Proverbial Wisdom II (Daily Reader) - Bryant James W.
Recenzje: Proverbial Wisdom II (Daily Reader) - Bryant James W.